That’s Shenzhen takes a look at the best gigs of the week. 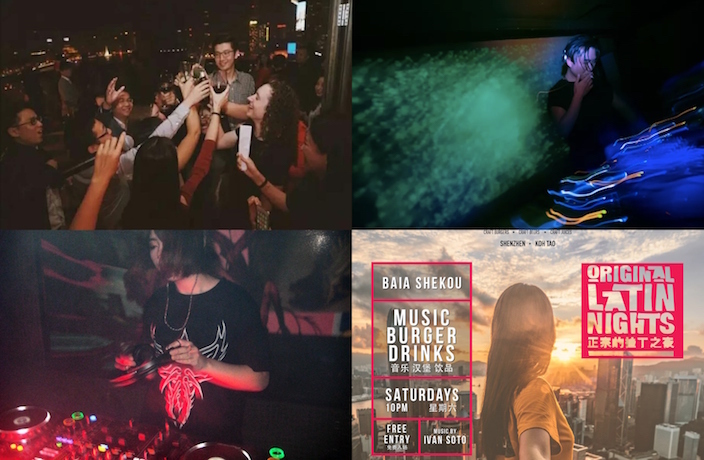 17-year-old Shanghai DJ Gouachi has had a hell of year. Appearing alongside the likes of upcoming Beijing promotors S!LK, as well as the likes of Asian Dope Boys, she's been receiving a ton of media attention (check out our interview with her here.) Appearing alongside her Hangzhou outfit, XHANKONKON, as well as Warmchainss. We're giving away two tickets to see Gouachi in Oil, this Saturday. For a chance to win, share this post on your Moments with the caption 'That's what I want – Gouachi.' Send the screenshot to our official WeChat account (ThatsShenzhen), along with your name and phone number. Sat Feb 9, 8pm; RMB40 presale, RMB50 at the door. Oil. See event listing. Tickets. Head down to Shekou to catch a variety of Latin music put on by DJ Ivan Soto. While you can enjoy reggaeton, salsa, kizomba, bachata and merengue, you can also grab discounts on rum and tequila all night. Sat Feb 9, 10pm; free entry. Baia Burger Concept (Shekou). See event listing. Held at the roomy and artsy music pub Lichun, this event offers a matchmaking experience for singles from the overseas returnee, business elite and expat communities, while also presenting some amazing musicians from a variety of genres to add to the fun. Sun Feb 9, 8pm; RMB299. Lichun. See event listing. Dress code: red or qipao for ladies, red or suits for men. Add WeChat GZ1941 to sign up or learn more. This free event brings together a bunch of local producers and DJs. Organized by Shenzhen-based promotors Soy Sauce and Guangzhou-based label Underground Union, expect to catch deep and idiosyncratic techno from the likes of Krome, Woody Jac, DJ Jimmy-H and Underground Union newcomer Viyee. Sun Feb 10, 10pm; free entry. Oil. See event listing.